Hey, everybody! This will make two posts in the same day, but it’s worth it. 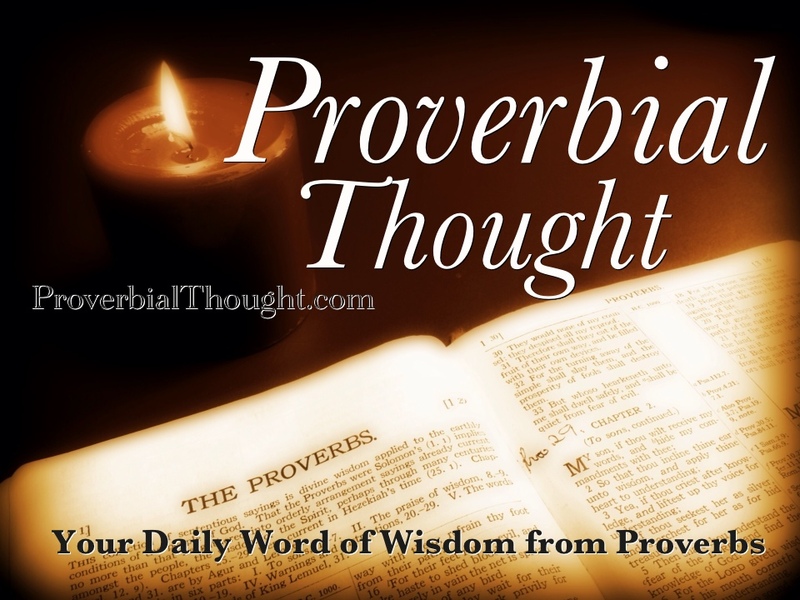 Many of you are not aware of Proverbial Thought, a new blog created as an online devotional and commentary on the book of Proverbs. If you have not seen it, I wish you would check it out, then tell others. Wisdom, true wisdom, comes from God. Proverbs is full of wisdom. The problem is that too few people read Proverbs, much less think about how to apply the wisdom contained to modern life. Our goal is to get people back into the book, reading it from a fresh perspective, and putting what is learned to everyday use. I have pulled together some great people who contribute to Proverbial Thought. Each one brings a different perspective to the scripture. My hope is that this blog will catch on and be a source of inspiration for hundreds, if not thousands of people every day. Why not subscribe, then forward a link to a couple of friends. One day the seeds planted will result in a harvest, if not here, in heaven. This is a screen shot from April 14. Notice the contributors. They are from all over the globe, and more are coming on board in the weeks ahead.